newest attractions, Art on Main. 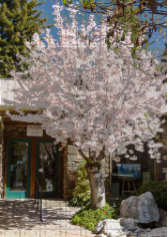 Please take a virtual tour of our gallery below. dedicated to the promotion of artists from Calaveras County and the surrounding foothills. 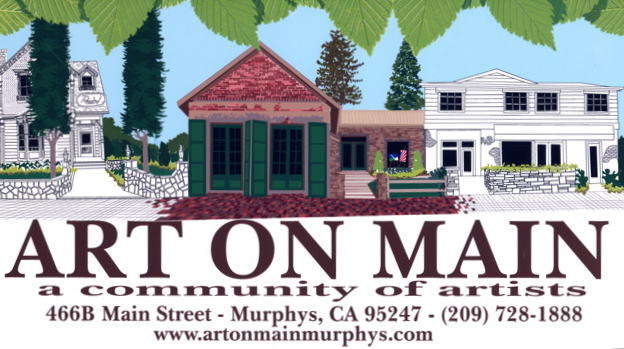 providing established and emerging collectors with the best of our area's fine art. providing personal knowledge of the artwork and their fellow artists. as well as sculptures, glass, textiles, and jewelry. 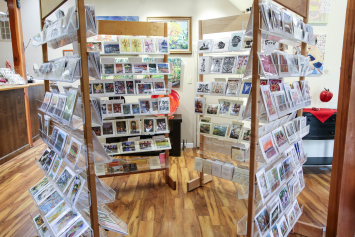 We feature a large assortment of original and printed cards, ready to either send or frame. 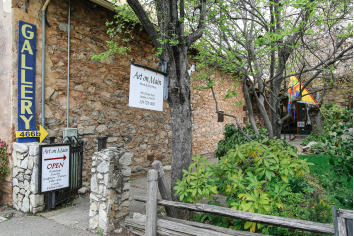 Art on Main has an impressive and varied display of beautiful items for the discerning buyer. Open 7 days a week ~ 11 a.m. to 5 p.m.
click here to sign-up to receive our quarterly newsletter via email on a regular basis.